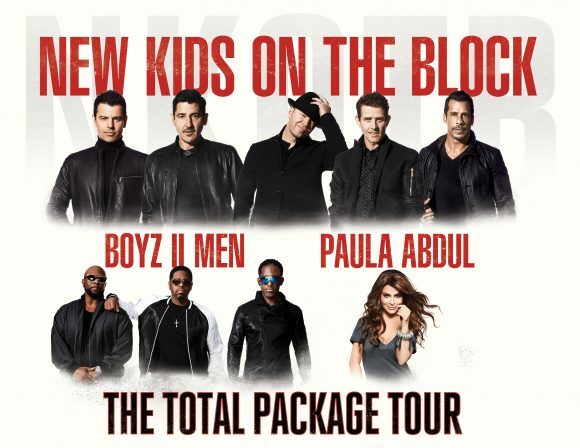 NEW KIDS ON THE BLOCK will be bringing their much anticipated 2017 headlining tour to Indianapolis on Sunday, June 18 at Bankers Life Fieldhouse alongside Grammy Award-winning tour mates PAULA ABDUL and BOYZ II MEN. A follow-up to 2013’s hugely-successful Package Tour, the aptly titled TOTAL PACKAGE TOUR is the group’s biggest line-up yet. Paula Abdul makes her momentous return to the stage for a hit-fuelled set that includes an incredible 7 number-one hit singles, while Package Tour alums Boyz II Men will deliver their trademark, multiplatinum-selling sound to fans nationwide.